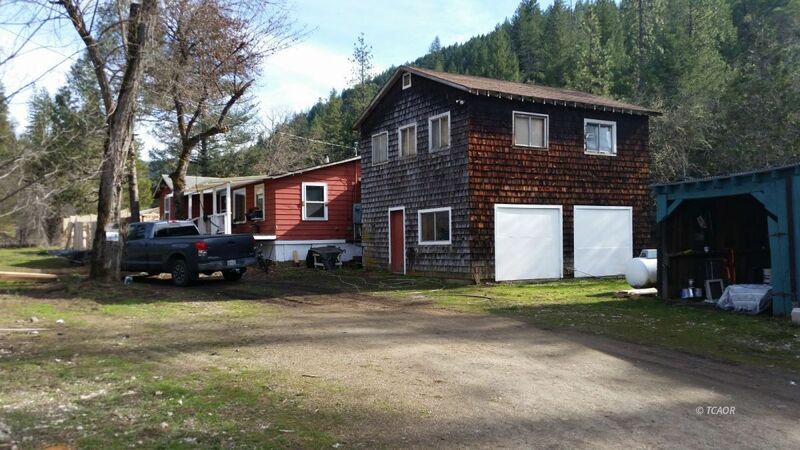 Great Opportunity on Hwy 3 Frontage! This 5-acre agricultural lot has Summit Creek running through it and is ready for you to pick up where the sellers left off. Large outdoor garden areas adorn this property with many other flat parts to work. Per owner they have a County Tier Two permit issued thru March of 2019. Although the well recovers at 10gpm (per seller), when it fills, it keeps filling over the casing and onto the ground. The seal prevents this from happening. The large barn has been used for animals and hay storage in the past, but has also been used for indoor gardening. The original house is in fair condition but needs some TLC with hardwood floors, knotty pine walls and spacious kitchen. The addition could use some work and finishing. This home could be brought back to it former glory and provide all kinds of room for the family. With five acres you have room for the animals! So don't wait to long, make your appointment to see this one today!